Everyone’s heard of Native protesters blocking pipelines to protect Mother Earth, but what about Natives having a stake in the oil industry? 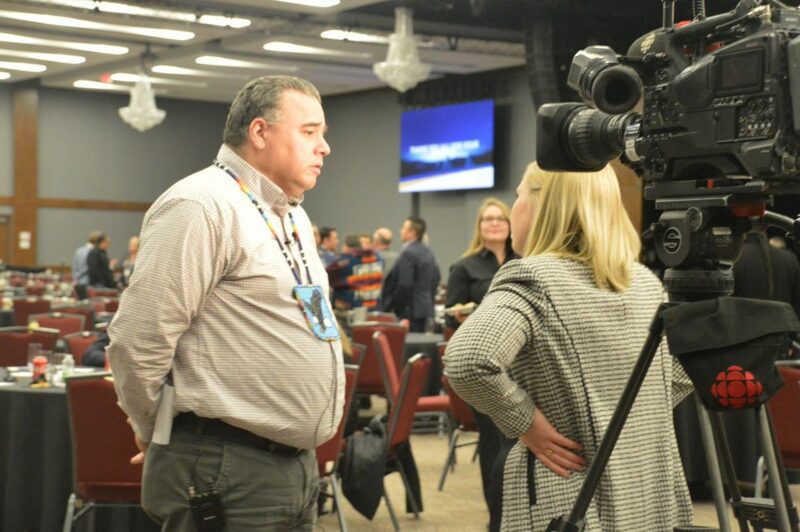 Native chiefs and representatives gathered at the Tsuu T’ina Nation’s Grey Eagle Casino to discuss the question before an audience of government officials, bankers, and oil executives at the Indigenous Energy Summit. Stephan Buffalo is an organizer of the January 15 and 16 event who has had comments directed toward him on social media characterizing Native leaders cooperating with Big Oil and the money it brings in as, “greedy” and “sell outs.” Native proponents of cooperation argue that being a part of the business and industrial infrastructure of the Canadian economy should be reason for unity among First Nations across Turtle Island. The oil sands are the third largest oil deposit in the world, and the existing pipeline has been in operation for 65 years. Passenger vehicles, semi-transport, trains, aircraft, and the economy are dependent upon oil, and there is no change coming in the foreseeable future. First Nations wanting to invest in a project cite these facts to gain support for a program they believe will help Natives ween ourselves off government funding, which is the goal of chiefs who spoke at the Indigenous Energy Summit urging detractors to come on board. First Nations having a seat at the table ensures proper procedures will be followed to protect the environment during both construction and the maintenance after completion, leading to economic benefits for those willing to participate and invest, according to proponents. After consulting with financial advisors and leaders, Project Reconciliation’s financial model concluded participating presents a unique opportunity for First Nations to own anywhere from a majority up to 100 percent interest in the project. “I don’t look at it from a dollar perspective, I look at it as getting it right on the environment, getting it right on the marine, and getting it right as the stewards of the land and waters,” said Wapass. Fox said investment in the Trans Mountain pipeline depends on Bills C69 and C48 failing in the senate, bills he is opposed to and described as “deal killers.” If the bills are defeated, he and the Blood Tribe would be seriously looking at the possibility of investing in the pipeline. “We’d do our due diligence, and if it’s a sure thing, then maybe,” said Fox. Bill C69 replaces the Canadian Environmental Assessment Act of 2012 with a new Impact Assessment Act, and replaces the Canadian Environmental Assessment Agency with a new Impact Assessment Agency of Canada. The Act adds enhanced consultation with Indigenous groups that may be affected, and expands factors like traditional indigenous knowledge. Bill 48 is the Oil Tanker Moratorium Act. It prohibits tankers from stopping or unloading at ports or marine installations along BC’s north coast if they carry over 12,500 metric tons of crude or persistent oil. The moratorium extends from the northern tip of Vancouver Island to the Alaska border, and prohibits loading when the additional oil results in the tanker carrying more than 12,500 metric tons of those oils. Defeat of Bills C69 and C48 does not guarantee a new project will move forward because Vivian Krause warned any entity buying the pipeline will meet opposition from a well-funded Anti-Oilsands campaign, which has a record of effectively stalling new projects and can stop pipeline expansion.